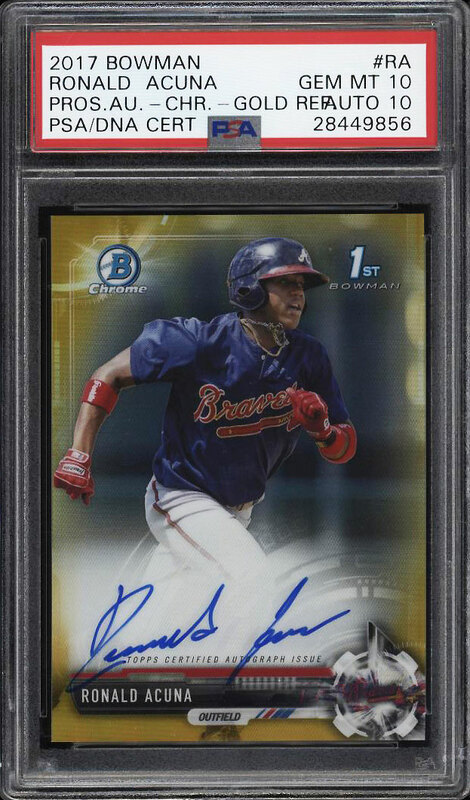 Absolutely incredible Ronald Acuna rookie on eBay this month. The Bowman Chrome Gold Refractor is widely considered his most important and beautiful productions in the hobby. A ultra condition sensitive issue which ranks as just one of two example to reach the coveted PSA 10 designation. A truly flawless specimen which boasts four dagger sharp corners, crisp edges and undeniable GEM MINT card stock. The surfaces are exquisite and void of any typical scuffs or scratches. Bright color with exceptional print, clarity and focus throughout. The autograph is undoubtably pristine and comes from a limited print run of just 50 copies ever created. A sound investment piece which is deserving of attention. 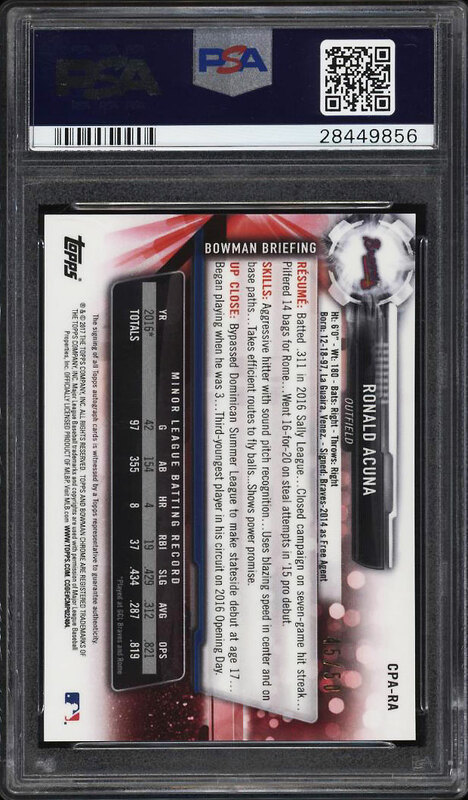 Part of tremendous run of high-grade '17 Bowman Chrome Acuna rookies on the auction block this month. One of over 18,000 cards, lots and sets up for bid in our 6th Auction of 2018. Click on the link above to view the other PWCC auction lots.